To reduce your cost, Brandsport offers this item in Bulk (sold here individually). Gorilla also lists this same item in 4-piece sets as Display Package # 41137BL and Bag # 41137BLB. Blue lug nuts from Gorilla are the perfect replacement upgrade. 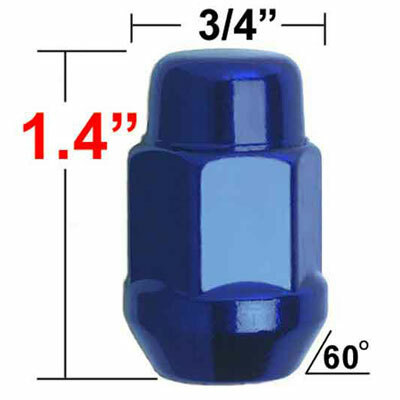 Durable quality are one of the many facets or Gorilla Blue lug nuts. Quick replacement is a plus with Gorilla Blue lug nuts. When replacing your wheels, don't forget to replace your lug nuts with Gorilla Blue lug nuts.. Excellent product. Fast delivery once again a pleasure to shop with Brandsport.